The 1850 United States Census collected a great amount of data that gave insight into the state of the U.S. economy in 1850. Some of the data revealed the growth of the economy with regard to agricultural and manufactured production, international trade, federal debt, taxation, transportation, education, and land expansion. The 1850 census contains the total value of imports and exports by state, statistics and names of the major imports and exports, the total values of shipping by state, and the value of imports and exports with various individual countries. The United States traded most with the United Kingdom. The imports and exports with the United Kingdom were both valued around 145 million dollars. 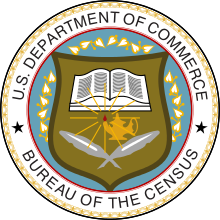 This census contains yearly federal debt totals, total federal revenues, and total expenditures from 1790 to 1853. The total debt of the United States on July 1, 1854, was roughly 47.2 million dollars. The 1850 census shows the great amount of territorial expansion that took place in the United States, following the Admission of Texas, the Oregon Treaty, and the Treaty with Mexico following the war in 1848. These three pieces of territory totaled an addition of more than a million square miles to the nation. In 1850, the United States contained 31 states and 4 organized territories (Minnesota, New Mexico, Oregon, Utah). This census was conducted during a very important period of growth and innovation in the United State, the Industrial Revolution. The statistics in this census provide data on the rate of growth that was taking place in 1850, which resulted in the emergence of the United States as an economic world power. Many of the statistics were compared to those of Great Britain and other world powers. This shows where the United States stood economically relative to the rest of the world. The Utah Territorial Secretary Broughton Harris refused to certify the 1850 census of Utah territory. Harris complained that Brigham Young had conducted the census without him and that there were several irregularities. For instance, the census reported only 26 slaves, with a note that all of them were heading to California, making it seem as if there would not be any slaves in Utah. But it did not include any of the slaves held in Bountiful, Utah. John David Smith estimates that there were 100 blacks in Utah by 1850, with two-thirds of them being slaves. Utah had tried to hide its slave population from Congress, fearing it might impede its quest for statehood. Congress was concerned about expansion of slavery into the western territories. Because of the irregularities, Harris withheld government funds reserved for taking the census. The controversy contributed to Harris' decision to join other Runaway Officials of 1851 and abandon his post in Utah territory. Relationships with the federal government continued to sour and eventually resulted in the Utah War. ^ "Library Bibliography Bulletin 88, New York State Census Records, 1790-1925". New York State Library. October 1981. pp. 44 (p. 50 of PDF). ^ Between 1790 and 1860, the state of West Virginia was part of Virginia; the data for each state reflect the present-day boundaries. ^ a b W. Paul Reeve; Ardis E. Parshall. Mormonism: A Historical Encyclopedia. p. 26. ISBN 978-1-59884-107-7. ^ Ronald G. Coleman. Blacks in Utah History: An Unknown Legacy (PDF). ^ Randall M. Miller; John David Smith (1997). Dictionary of Afro-American Slavery. Greenwood Publishing. p. 506. ISBN 978-0-275-95799-5. ^ Nathaniel R. Ricks (2007). A Peculiar Place for the Peculiar Institution: Slavery and Sovereignty in Early Territorial Utah.